Environmental protection and energy conservation, many consumers are willing to spend more money, choose energy-saving environmental protection concept, even light and stylish design, can be integrated into the home decoration 3C products, which makes laptops, LCD screens and TV manufacturers have published LED backlight technology The products have entered the mass consumer market through the environmentally friendly mercury-free characteristics of LEDs, combined with the advantages of power saving, light weight and high color saturation. According to the survey, in 2012, the proportion of LED backlights using 10 inches or more of LCD backlights will reach nearly 40%, and in 2013, it will exceed 50%, officially becoming the mainstream of backlight modules. At present, LED applications are mostly on notebook computers, LCD screens and TVs. In particular, LED LCD TVs are the models that Japanese and Korean manufacturers are vying to publish this year. They are different from traditional LCD TV backlight modules. Technology, the TV body is greatly thinner, power consumption is more economical, although the price is slightly higher than the traditional LCD TV of the same size, but the market response is not bad. Samsung took the lead in launching LED LCD TVs in Taiwan, with a stunning 2.99 cm body, followed by LED LCD screens. The same Korean LG also released the first LED LCD TV SL90 series, the body is only 2.9 cm, and equipped with wireless Bluetooth technology, can share mobile phone pictures, audio and video through wireless transmission, can also use Bluetooth headset to receive TV sound effects, also There is a 3rd generation USB 2.0 terminal that supports movie formats and it is more convenient to watch videos downloaded from the Internet. As for the result of using LEDs in laptops, the overall is lighter, less power-efficient, and the screen colors are more vivid. The VAIO TT46, which was released today by SONY, is equipped with a 11.1-inch LED-backlit wide screen and weighs only 1.29 kg. 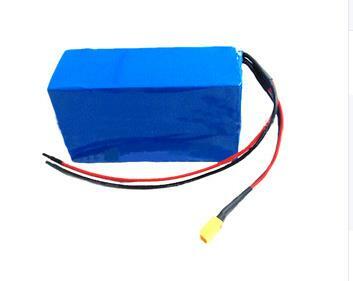 The High Power Battery Pack is mainly used in various vehicles, ships, aircraft and other internal combustion engines, lighting, energy storage, uninterrupted power supply, mobile communication, portable electric tools, electric toys.there are some differences compared with other normal battery . a 4200 mah high power lithium battery can discharge all power in just a few minutes, but normal lithium battery could not do that completely, so normal lithium battery discharge ability cannot be compared with the high power lithium batteries entirely. The biggest difference between high power lithium battery and onormal lithium battery lies in its high discharge power and higher energy. Since high power lithium-ion batteries are mainly used for automotive energy supply, they have higher discharge power than ordinary batteries.